Editor's Note: Ruby's story first appeared in Issue 5 of Holl & Lane magazine. To catch up on her story and read the whole issue, pick up our digital pack in our shop. It's been one year since I wrote my piece for your magazine and what a year it has been. January last year was the beginning of my recovery and last month I celebrated one year into my recovery. Over the last year I have regained weight to a healthy BMI, my physical and mental health have drastically improved, and I've never been healthier or happier. Of course things are not perfect. I have my down days, but I am no longer a slave to my eating disorder or addiction. In February last year, I was referred to equine assisted therapy by my counselor and quickly fell in love with everything related to horses. For the last year, I have gone horseback riding at least once a week and it has been a massive part of my getting well. I also did a horsemanship course in the autumn which I loved. During the summer, I worked in a holiday centre run by a charity. It was my first proper job since embarking on my recovery. I loved working and thoroughly enjoyed having a purpose and a reason to get up every morning. I worked with an amazing team of people and it was very rewarding knowing that I was helping our guests enjoy a much needed holiday. At the moment, I'm still quite busy. I work with horses two to three times a week and in the summer hope to get my very first horse which I am extremely excited about. Because I am so active now, my relationship with food has changed for the better. Food is no longer the enemy and I now know that I need fuel so that I can be the best I can be. One of the most difficult aspects of my recovery was regaining the weight. I had to stop weighing myself as it was too distressing and to this day I have no idea what I weigh. But my clothes fit and my hair and nails and skin are healthy. I feel strong and healthy and I refuse to measure my worth in pounds and ounces any more. I've learned so much during the last year. I've learned that as quickly as things can fall apart, they can just as quickly turn around. I've learned that as bad as things can get, it's so important to keep hoping and to keep believing and to never give up. Something unexpected that I have learned is that in dark times it's essential to retain a sense of humor and to keep things in perspective. I have also learned a lot about life. When I surrendered my eating disorder and addiction, I was left with a gaping void where the disorder once resided. Initially, I tried to fill the void with material possessions– clothes, money, and stuff – but that left me feeling even more empty. It wasn't until I started equine assisted therapy that the void began to close. It's trial and error, but if we persist we will find the thing that fulfills us and makes us happy. For the first time in years I am able to look to the future. For so long the future was scary and unknown and I couldn't bring myself to think about it without feeling an impending sense of doom. I now have hopes and dreams whereas in the past I didn't dare to. In the near future, I hope to keep working with horses and welcome my very own horse into my life. I hope to continue with my recovery and use my story to help others in the same situation as myself. Regarding my drug addiction, I continue to stay clean and sober one day at a time. I'm still on the methadone programme and it is slowly but surely being reduced. Despite the problems and setbacks in my life, I remain very grateful for everything I have. I have a crack team of family and friends around me who continue to carry me. Sometimes it feels like my feet aren't even touching the ground. I have a comfortable and stable home to live in. I am two amazing dogs who have been by my side for the last 12 years. I want for nothing and life is good. I hope my story will go on to help others and maybe some of the pain I have endured. Ruby Tuesday is a dog loving, horse riding 35 year old Irish woman. She has survived heroin addiction and anorexia/bulimia. 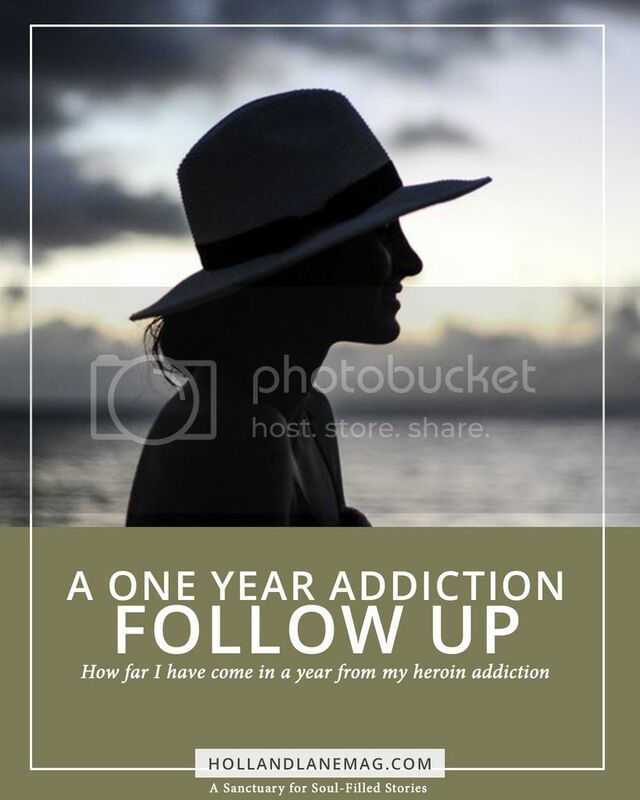 She has blogged for 5 years about her experiences with recovery and relapse. Nowadays she spends her days working with horses, dogs and the odd human.